Start storing or shipping products from our warehouses today. Your e-mail address will never be rented, sold or shared. I can’t say enough about the level of service we get from APS. They are constantly being bombarded by us with multiple requests and job changes (that’s the way it goes in the subscription newsletter business) with super-tight deadlines. But the APS team always pulls through. In fact, we’ve seen a massive improvement in our publication delivery times ever since we started working with APS. I would recommend any publication company to use APS if they want hassle-free, worry-free and quality service. We have over 30 different products in varying order quantities that need to be shipped to our customers daily. Plus, the products have to be kept in a secure climate-controlled environment. Add to the fact we need printed material such as marketing and renewal letters placed in the orders, fulfilling our products can be challenging. APS has risen to the challenge and more. Orders are being sent out accurately and on time. Returns are being processed correctly and, most importantly, our customers are happy. 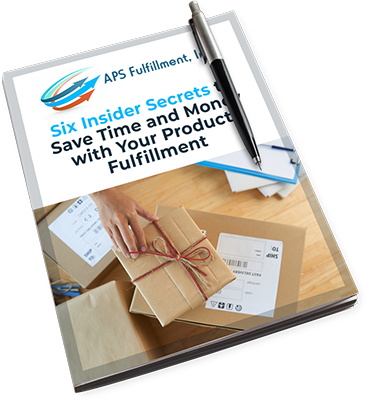 APS has been a truly great fulfillment solution! As our business grew, shipping our water heaters and other hardware became a time-consuming and very expensive chore. Since we switched our product fulfillment to APS, not only have we been happier, our customers have been happier because they’re getting their products sent to them quicker than ever. Thanks to the folks at APS, product fulfillment is something I don’t worry about anymore!